"Analogue Tintype" is a new photo player in Bend and this talented duo is bringing back a photo process from the mid-1800's –– to share with us all in custom individual portraits. - Come to Found from 4-8pm either Friday or Saturday evening for your session. Use clothes and props from the shop as you please. Follow @analogue_tintypes on Instagram to see their work to date. 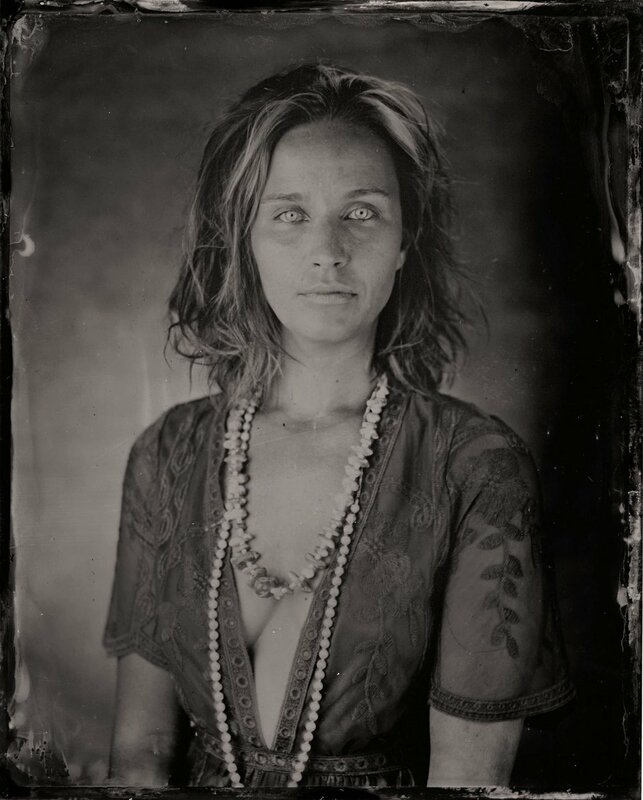 A Tintype is by definition: a photograph made by creating a direct positive on a thin sheet of metal coated with a dark lacquer or enamel and used as the support for the photographic emulsion. The color blue is not recognized in this process, so tattoos and blue eyes go white and make for a rad shot. Here are a few of the rad tintypes taken at Found, you may recognize some of these BA players.